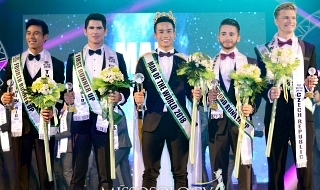 vietnam as miss earth 2018, a total of 208 ladies were crowned the most beautiful girl in their respective international pageants representing 59 countries and territories. mere successions to the crown and crowning by mistake are not included. the table below shows the list of the fifty nine countries and territories and the last year they won in each of the big four pageant. miss international 1965 from germany is the longest reigning queen. she was miss international for 624 days. yugoslavia is the only country not expected to win another crown as the country disintegrates into 5 separates countries in 1992. surprisingly, bosnia and herzegovina used to be part of the yugoslavia. Last edited by cindy_kato on Thu Nov 08, 2018 2:24 am, edited 1 time in total. Does the dethronement doesn't count? JaninaCruz-Vega wrote: Does the dethronement doesn't count? they were included. bosnia herzegovina earth and russia universe 2002 for example are included, kenya and panama their respective successors doesn't count. i only include those who were officially crowned during the finals night. cindy_kato wrote: miss international 1965 from germany is the longest reigning queen. she was miss international for 624 days. i don't see what is "surprising" about Bosnia & Herzegovina being historically part of the Former Yugoslavia. That is not a surprise, there is a history behind that. Serbia is the official successor of the former Yugoslavia, so any credits or references to the old Yugoslavia should be given to Serbia. I dare all Missosologist members to use your REAL country flags on your profile. I mean, use PHILIPPINE flag, we all know y'all are pinoys hiding on a fake flag. i dont know the relevance of the list without giving credit to the assumed winner (rather than the dethroned). If that is the case, count in Colombia (Ariadna) instead of Philippines (Pia) for Universe 15. Same logic. ariadna's crowning is just a result of the fiasco. technically, she is not the winner. if only steve harvey didn't f**k up the announcement. Brazil, Venezuela and the Philippines are the only countries that have All Crowns, and also the title of Miss Supranational. 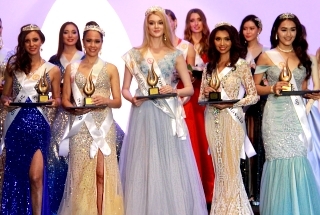 The last weekend, Vietnam got it's first ME crown and also the first within the Big Pageants! Last edited by DUBROVNIK on Tue Nov 06, 2018 11:30 am, edited 2 times in total. OLD YUGOSLAVIA CONSISTS OF BOSNIA, CROATIA,SERBIA,MONTENEGRO AND SLOVENIA !!!! I DONT THINK IT SHOULD BE CREDITED TO SERBIA ONLY !!!! BY THE WAY BEEN TO BOSNIA,CROATIA,BOSNIA,SERBIA, MONTENEGRO AND SLOVENIA !!!! looking at the table, i was surprised to see that next to venezuela and brazil, the next most successful south american country is argentina (3 out of 4 crowns) and not colombia. and they were closed to winning the earth crown in 2001 with daniela stucan (miss earth fire in 2001). In the decade of the '60s Argentina was very lucky winning the most important Crowns. Then little by little the interest declined and now the Argentina's people prefer the Fashion's world, with top models such as Valeria Mazza. I can’t believe Colombia hasn’t won a MW crown yet! Oh my God! Puerto Rico is almost there!!!! I respect ME but I’d remove It and Supra. Def. no big pageants. Busyboy wrote: Great thread Cindy! Colombia's Ariadna was NOT dethroned since she did NOT win to begin with; it was just an announcement error. Not same logic. It is the same analogy as USSR is to Russia. All present-time references to USSR is referred to present-time Russia, and not the former republics such as Ukraine, Estonia, Kazakhstan etc. Same thing with Czechoslovakia is to Czechia, and again Serbia for the former Serbia and Montenegro. TS said CROWNED DURING THE FINALS NIGHT. Thus, the argument. Which goes back to my main question which does this mean the official reigned queen (in the case of Kenya and Panama) is not worthy of the credit? That is the question. so venezuela won their eight miss international crown, making mariem the 209th lady to be crown in a big four pageant. CINDY MY LOVE SURPRISED ME. 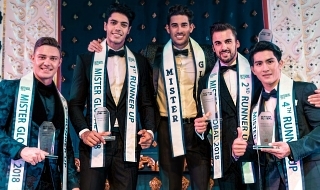 PIA WAS CROWNED ON SAME NIGHT AS THE RIGHTFUL WINNER. NO DETHRONEMENT.